Is Your Image Good or Bad? Apt – Art Design a well established graphic design and corporate identity agency have just been granted membership to the Design Business Association (DBA). With only 450 members nationwide of which 48% are London based, Apt-Art joins a select group of agencies in the Southwest, meeting the standards required. The DBA is the trade organisation for the UK design industry, focused on promoting professional excellence and building productive partnerships between commerce and the design industry. The association champion’s effective design, communicating its value and the impact it can have on business performance. “Apt-Art is a small but dedicated graphic design studio that prides itself on delivering innovative design. Apt – Art has been delivering communication though effective design for over 30 years. From their design studio in Kidlington near Oxford, producing creative design for print and digital for a wide range of businesses sectors covering aviation, holiday companies, education, industrial, charity, professional and leisure services. Promote professional excellence and to build productive partnerships between commerce and the design industry. The end goal is to champion effective design that improves the quality of people’s lives. Apt-Art Design is a member of the Design Business Association. The brief was to create a folder that would appeal to both Business and General Aviation and could be used for a multiple of uses, inside the folder is a pocket that lines up with the front graphic, a logo that is covered when a business card is inserted into the card slots. This was a tight deadline design and production job with the finished folder being gloss laminated that was completed and delivered on time. Dolffanog Fawr a luxury guest house in Snowdonia. 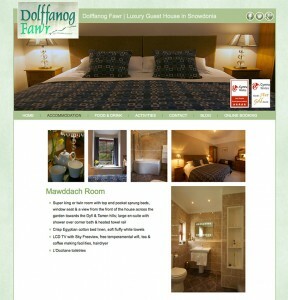 We have just completed stunning new accommodation photos and produced a fresh new website for Dolffanog Fawr. 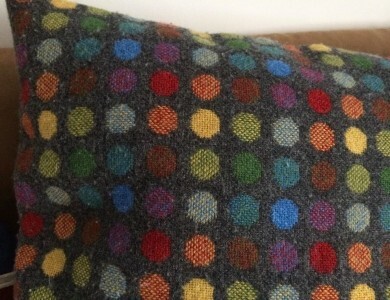 They have Melin Tregwynt woven in Wales throws and cushions in every room quality at its best, why not take a look at www.dolffanogfawr.co.uk for a great get away at the foot of Cadair Idris Tal y llyn Wales. The website has been built in a content management system for easy editing with News Blogs, Live Reviews, Reviews, Interviews Tour Dates galleries and videos. all can be sub divided into the different categories of music the site caters for. The Hamblin Trust Banner, created by our vinyl sign and banner production department, The logo was supplied and has been tweaked by our design team, the typeface has also been changed and left justified to make it more user friendly. The objective for the tweaking was to make the logo uniform on the web, letterheads banners and publicity material and to create a relaxed standard identity to take the charity into the future. We now have a quick reference code, we think this is the best thing since sliced bread! If you have a iPhone or smart phone with the scanning app you can scan the code and it will instantly take you to a website or a specific page on a website. We can now offer to add the facility to any website we design or host and feel it will be a fantastic way of getting some hits. 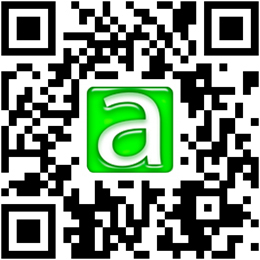 Scan it and see where you end up! 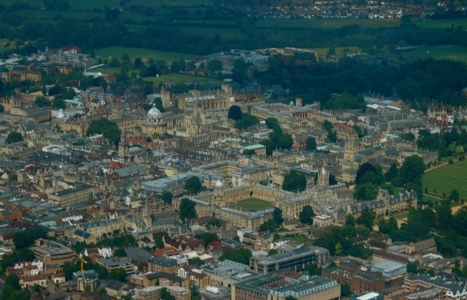 A great day again in the design office we have a hectic day on a new logo design for a company here in Oxford. This was the design of a new logo and corporate identity. The finished logo was very stylish and in keeping with the image the photographer wanted to portray, we produced the Stationery on a cream marbled stock to give a very up market feel it was printed in dark green. 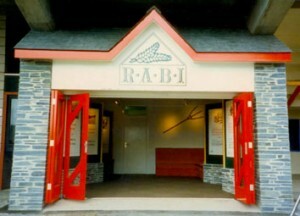 The design of a show stand for R.A.B.I. for the Royal Welsh Show was from concept right through to completion. After a few design meetings the stand design was agreed and a local Welsh architect and building company was employed to create the building from our design model. As the project progressed we had a number of site visits to check on progress, whilst the building was being constructed we worked on the inside displays that were all produced in English and Welsh. 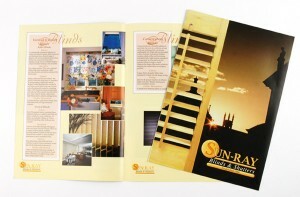 This project was a logo and 8 page A4 product brochure designed and printed. The cover uses one of our stock photographs; a sunset over Queens College Oxford that lends itself well for this design and has been much admired since the image was taken. Need to look smarter in the business place or your company image modernised, then employing a design business that has years of experience in promoting the business image is the way to go. We know what works and how to create a clear strong company image that can be rolled out across all your publicity material, website and company stationery to complete the transformation of your business image.